Far Cry 2 - A Far Cry From The Original? In association with XFX, today we will be taking a look at Far Cry 2, early contender for game of the year which XFX are now bundling with select products from their 9 series of graphics cards. Far Cry: game of the year 2004. Topping that is going to take some effort, especially as the developing rights are no longer with Crytek. Ubisoft Montreal now hold the reins to the Far Cry franchise and this is the first in what is most likely a long running series. Notice I said series and not sequel? Far Cry 2 breaks all of its links to its predecessors. Gone are the Hawaiian shirts, genetically altered soldiers and the picturesque paradise of yesteryear; Far Cry 2 is a different fish altogether. Different but not totally removed from the original. Set in a volatile region of Africa, you are a hired gun. A mercenary with no allegiance to the two opposing factions, the APR and UFLL, who are playing for your skills as a soldier of fortune. Stretching across 50km of African Savannah, the game is played out on a barren, dusty wilderness rather than the lush green paradise of its forebear. 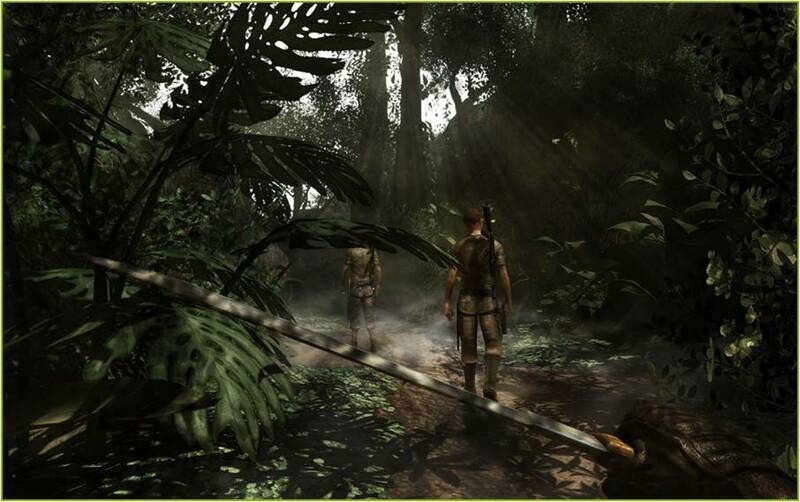 Similar to Far Cry but expanding on the idea, Far Cry 2 allows much more freedom of movement. Previously, although Far Cry allowed a certain amount of freedom, there were still boundaries that prevented you from fully exploring the Islands, be it by mountainous ravines or patrolling helicopter gunships that had a canny ability to head shot you if you strayed too far off the beaten path. Far Cry 2, however, allows much more freedom of movement. You choose your path; you can explore wherever and whenever you wish. You choose your missions as well, although the main missions are more linear and in keeping with the storyline. A key feature of the game are your 'buddies'. Yes, that's right, you get to team up with various characters throughout the game by completing certain missions. These buddies are a valuable source of tactical information for future missions and can also pull you out of trouble when you are seriously injured. The buddies available depend on your initial choice of character, with the rest of the choices then cast as additional buddies who can be unlocked throughout the game, but the player will decide which buddies continue to be more important to the game's storyline. Starting off infected with malaria, your first task is to find some medicine. The only way to get medicine in Africa is by the help of others. Nothing is bought with cold hard cash. You either trade by completing missions or using the main currency in this war torn province - rough diamonds. You get paid in diamonds for completing missions, which can then be used to trade for new weapons and upgrades available from the arms vendor at the weapons shop. With over 30 weapons available to be distributed over 3 weapon slots, the player must choose wisely, as the right weapon could make the difference between mission success or failure. All of the weapons will degrade over a period of time and begin to jam and seize, so keeping your firepower fresh and greased up is imperative. Enemy weapons can be used, but more often than not are visibly corroded and therefore more likely to jam and misfire - not good in the middle of a firefight! A variety of vehicles are available for use, with most vehicles being discarded by the roadside. Again, as with the weapons, the vehicles degrade over time, but they can be repaired with a few quick twists of a socket wrench once they have taken a certain amount of damage. Any vehicles that overturn can also be flipped back over with a simple interaction. With the basics now covered, let's take a look at the technical attributes of Far Cry 2 before going on to testing out the game play. Awesome review mate, really felt like it was an honest opinion, not just "this game is incredible, graphics amazing yada yada yada..."
Good to see reviews focussing on gameplay, that's where the progress needs to be made atm imo there hasn't been a shooter as innovative as HL2 since that came out, (the variety of challenges, gravity gun and physics puzzles etc). Having said that I played the mirror's edge demo on my mate's PS3 the other day and was absolutely gobsmacked by how close they have come to making it feel like true first person. Can't wait for that to hit PCs, damn release dates after console versions. Cheers for the kind comments.